Airtel is offering 1000GB of bonus broadband data on select broadband plans for one year. The offer can be availed by any user who signed up for the company’s broadband services on or after May 16. Further, the offer is only valid for users in the NCR circle. There are four plans with the extra 1000GB of bonus data. These start at Rs. 1,099 and go up to Rs. 1,799. All plans offer speeds of upto 100Mbps along with unlimited local and STD calling. The cheapest plan, that is worth Rs. 899, offers 750GB of bonus data for a year. Last week, Airtel started offering additional data to broadband users. The Rs. 899 plan initially offered 30GB of data, and now offers 60GB. Similarly, the Rs. 1,499, which offered 100GB data, now offers 160GB of data. The new data offerings by Airtel could be in preparation for the launch of Reliance Jio’s broadband plans. Jio’s Fiber To The Home (FTTH) service is currently being tested, and the company has said that it will first be available in six locations, namely Mumbai, Delhi-NCR, Ahmedabad, Jamnagar, Surat and Vadodara. The service is expected to offer speeds of up to 100Mbps. There is also a possibility that Jio may give users a preview offer, that will give complimentary access to its services for 90 days. The Jio’s broadband service has not been officially been launched yet, and details about the plans it will offer are not yet known. The two companies are already at loggerheads over Jio’s telecom plans. Back in December last year, Airtel filed a fresh appeal to the Telecom Disputes Settlement and Appellate Tribunal (TDSAT) over the decision of the Telecom Regulatory Authority of India (TRAI) that allow Jio to continue its free promotional offers beyond 90 days. Most recently, the two companies were disputing over Airtel’s claims of being “officially the fastest” network in India based on internet speeds determined by Ookla. 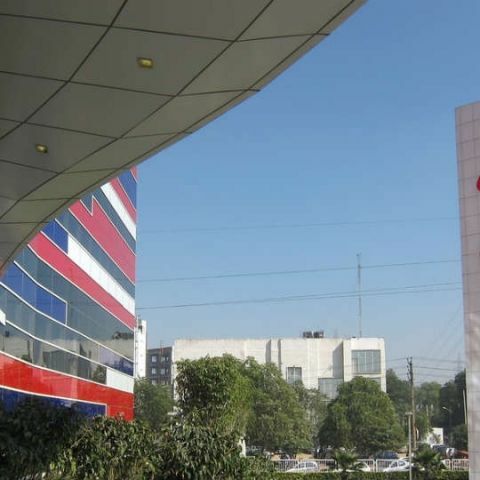 In a letter to the Advertising Standards Council of India (ASCI), Jio said that Airtel’s claims were “false, misleading and incorrect.” ASCI would later rule Airtel’s advertisements to be misleading and told the operator to modify or withdraw the advertisement. Broadband and telecom may not be the only to sectors that Airtel and Jio may face-off against each other. Jio is expected to launch its Hybrid DTH services soon and that would go up against Airtel’s recently launch Internet TV services.